I’ve got a fairly extensive install of SmartThings – a hub, about 60 odd switches, motion detectors, open/close sensors, the smoke alarms, the door locks, the garage door opener, the video door bell, and thermostats. I even have a robot I can ask to turn on or off lights. The Echo (or is it just Alexa now?) will dutifully answer in her somewhat sad/bored Marvin voice “ohkay” when asked to turn off the kitchen lights. Magic. For the most part, stuff just works. And that’s the killer – for the most part. It’s pretty stunning stuff when it works, and kinda silly trending to maddening when it doesn’t. 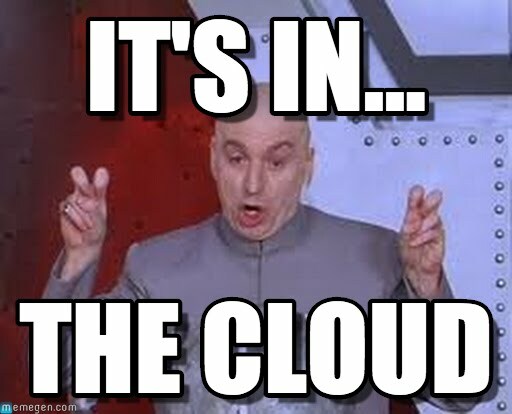 SmartThings runs in the cloud. Pause for joke. That’s good – since there is a lot of power up there in the cloud. That’s bad, because CLOUD. If the Internet is out, so is all my automation. If someone is downloading the whole of the Internet in my neighborhood, my automation can be laggy. If someone in the SmartThings Data Center fat fingers a deployment, nothing works. When returning to FORTRESS HOME which has dropped into “PROTECT” mode, unlock door. Wait. For. Inner. Light. Ok, safe to enter, killer robots disarmed. Or, forget to do that, and be greeted by the shrieking eels alarm and all the lights going nuts. I swear, I must look crazy by now, walking around waving my arms, shouting to my invisible friend Alexa, and randomly pausing waiting for things to happen. But hey, it’s the future. Lest you misconstrue my whining, when we had a catastrophic failure of our hub and “the house was down” for two weeks, we all decided we really didn’t miss the before times, and we all rejoiced when the magic returned. We called that period “living in frontier house.” You do get used to the magic very quickly, and you miss it when its gone.